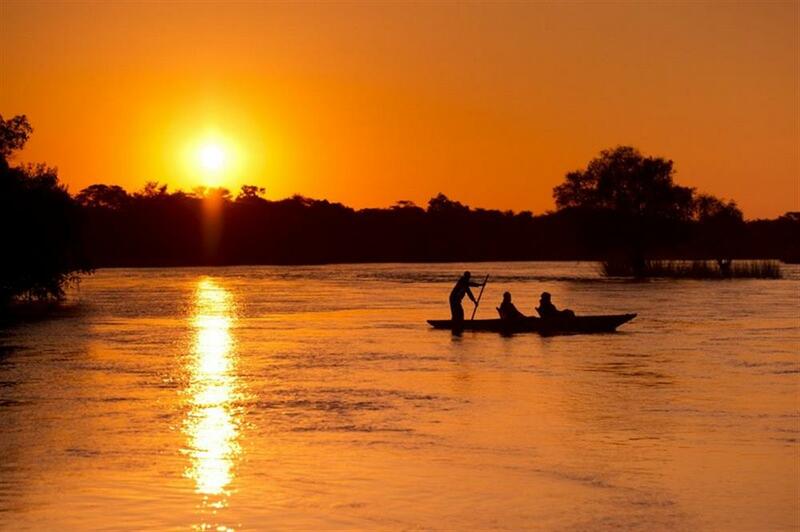 The Islands of Siankaba Lodge is a classic forested retreat. Siankaba's seven secluded chalets, each with its unique and individual view of the mighty Zambezi River, are linked by a foot bridge to the central restaurant. The lodge is located on two untouched islands in the middle of the Zambezi River situated between the 'Seventh Wonder of the Natural World', the magnificent Victoria Falls, and the world famous Chobe National Park. The Islands of Siankaba have been developed as a luxurious five star lodge, exclusively sleeping just fourteen guests. The two islands are linked by a suspension bridge leading to an overhead walkway in the tree canopy, which connects the elevated chalets. The design and landscaping of all the facilities incorporates the use of natural materials that blend in with the feel of the surrounding bush. Fashioned in teak and canvas, and accessed by an elevated walkway, the seven luxurious accommodation units are uniquely set amongst the indigenous trees. 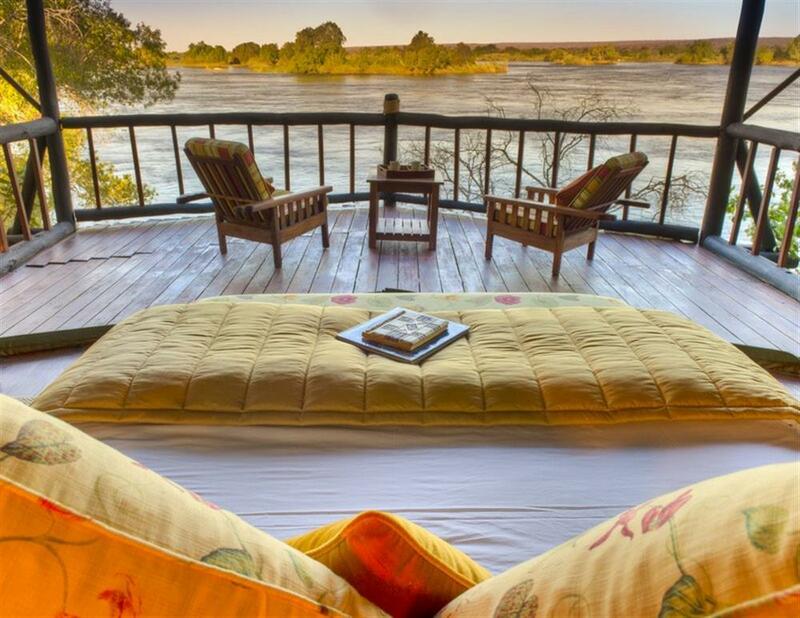 Here you can unwind and enjoy the view from your private deck overlooking the majestic Zambezi River. 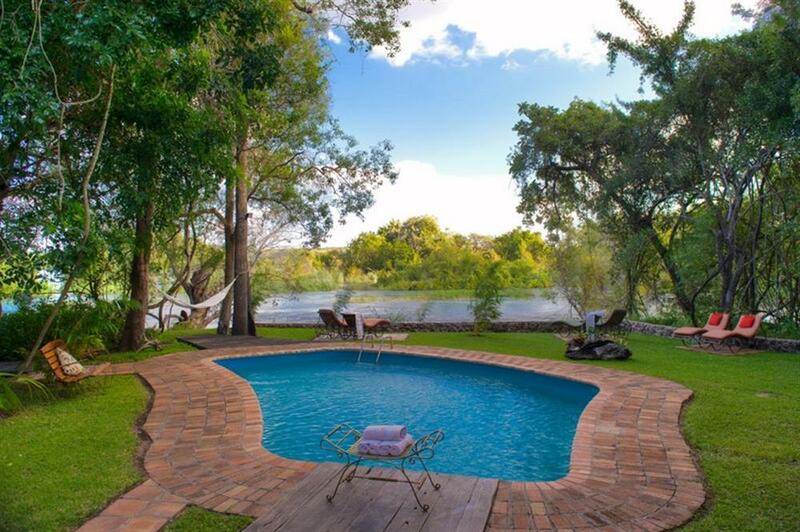 A host of exciting activities are available both at the lodge and in nearby Livingstone Town. 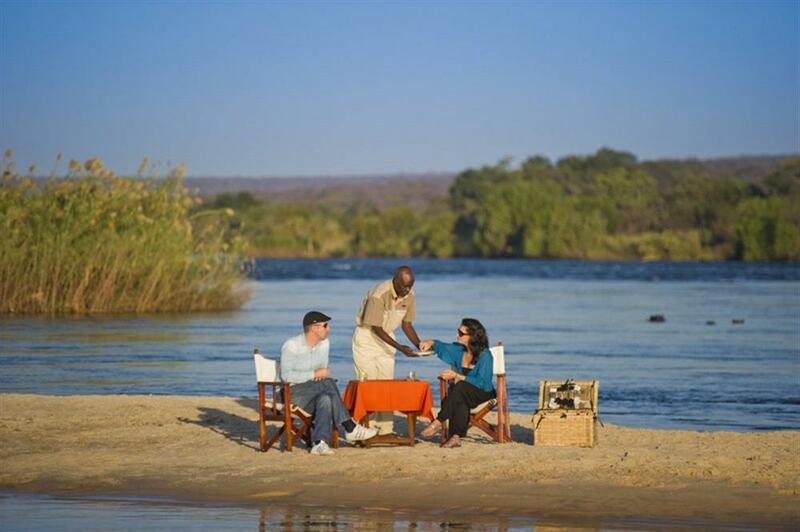 Activities included in the rate at Siankaba include a tour of the Victoria Falls, a sunset cruise, mekoro trips, a nature trail, a cultural tour of Siankaba village and Mandia School by foot or mountain bike.